Cheddar is the most popular type of cheese in the world. There are good reasons for that too. For one, it tastes delicious. Whether served by itself or as an accompaniment, not many foods beat a good Cheddar cheese. This article takes a look at the origin, nutrition profile and health benefits (and concerns) of Cheddar. Additionally, there are some delicious recipe ideas too. Cheddar is a pale-yellow, medium-hard cheese made from cow’s milk. Occasionally you may also find orange varieties of the cheese due to the use of the food coloring annatto. The origins of the cheese lie in the town of Cheddar, a small town in the region of Somerset, England. However, Cheddar cheese is now made throughout the world. This popular cheese has a very long history; in fact, the earliest records go back to the 12th century. The first reference to Cheddar comes in 1170 in a pipe roll (a traditional English financial record) showing King Henry II purchasing 4,640 kg of the cheese (1). Notably, the taste and texture of Cheddar can vary a lot depending on the length of aging. Typically, Cheddar undergoes a fermentation process that lasts anywhere between 3 and 24 months. A shorter aging time will produce a mild, creamy cheese with a soft texture. This is why cheese fermented for only several weeks (like Camembert and Brie) has a very soft texture. On the other hand, longer aged cheese will display sharp, tangy and pungent flavors. These well-aged cheeses will also have a crumbly texture and may possibly contain calcium lactate crystals. Interestingly, these crystals are formed when the proteins in cheese break down as part of the aging process. They have an enjoyable crunchy texture. However, these crystals are not unique to Cheddar, and other long-aged varieties cheese such as Parmesan experience the same. Depending on the aging process, there are different names to classify Cheddar cheese. It is also worth remembering that the longer the aging, the less lactose cheese has. For this reason, extra mature and vintage varieties of Cheddar would be a good option for those with lactose sensitivities. Key Point: Cheddar is a medium-hard cheese that comes in many varieties. It is also one of the oldest kinds of cheese in the world. As shown, cheese is relatively high in energy and contains 403 calories per 100 g.
It is also a great source of protein and provides 24.9 grams per 100g, a similar amount to meat and fish. Cheddar provides a decent source of vitamin A and a range of B vitamins. Cheddar supplies an excellent source of calcium and phosphorus. It is also reasonably high in zinc and selenium. Key Point: Cheddar has a decent nutritional profile and it is especially high in protein and the mineral calcium. 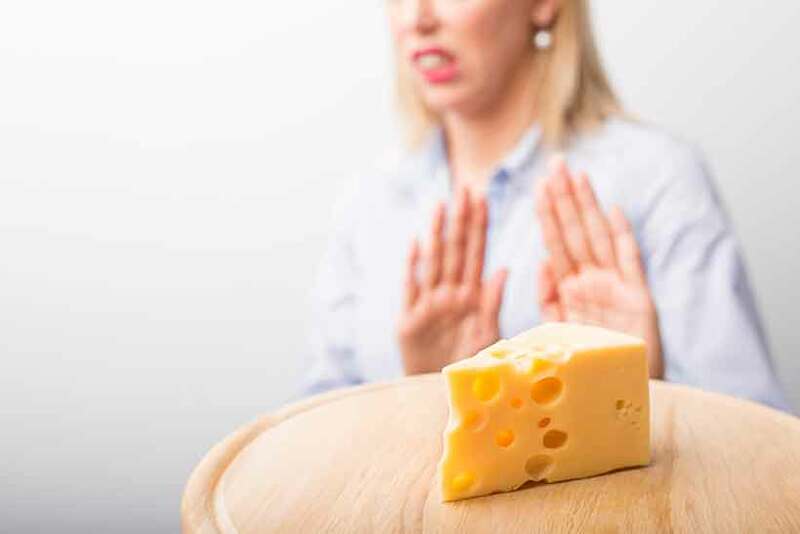 Is cheddar cheese healthy… or is it unhealthy? Like most foods, there are positives and negatives of cheese, and how healthy (or not) it is will depend on the person. On the positive side, cheese is perfectly healthy for the majority of people and it has some important health benefits. Firstly, as previously shown, Cheddar cheese is a protein-rich food that is approximately 25% protein by weight (2). The majority of this protein in casein. It’s important to realize that protein is the single most important macronutrient for our health. 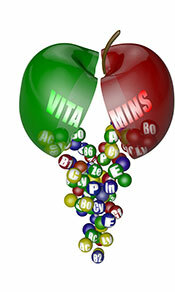 While we can get by on carbohydrate or fat for energy, we would quickly waste away if we had no protein source. Increasing our protein consumption is clinically proven to improve satiety and reduce food cravings (3, 4, 5). Higher protein intakes correspond to increased lean body mass, and increasing protein helps to preserve lean mass during weight loss (6, 7, 8, 9). Protein is also incredibly important for elderly people, since the amount of protein we can absorb falls as we age. This is because the rate of muscle-protein synthesis declines with age. Key Point: Cheddar provides 25g protein per 100 grams. Gram for gram, Cheddar offers a substantial amount of calcium. 100 grams provides 72% of the RDA for the mineral, and this works out at about 20% RDA per ounce (28 grams) of cheese. Calcium is an essential mineral responsible for the optimal functioning of our skeletal and muscular system (10). Dairy: all dairy from milk to cheese and yogurt is a significant source of calcium. Plant Foods: many leafy green plant foods, seeds, beans and lentils contain calcium. However, the bio-availability of calcium wildly differs depending upon the source. One reason for this is that plant foods contain compounds, such as oxalate, phytate and uronic acids that can inhibit the digestion of calcium (11). In contrast, dairy products such as cheese contain no compounds that can hinder calcium’s absorption. Only dairy foods offer a guaranteed optimal rate of calcium absorption, and Cheddar cheese is an excellent source of the mineral. Key Point: Cheddar cheese contains large amounts of highly bioavailable calcium. While it can’t compare to leafy greens, meat and fish, Cheddar performs quite well in terms of nutrient density. For one, it is reasonably rich in micronutrients and contains a range of minerals in high amounts. Cheddar is an excellent source of vitamins A, B2, B12, calcium, phosphorus, selenium and zinc. In addition to the wealth of micronutrients, Cheddar is also one of the best dietary sources of protein. Compared to food such as sugar, refined carbs, or even other dairy options like butter, cheese is an excellent source of nutrition. Key Point: It isn’t the most nutrient-dense food in the world, but Cheddar compares well nutritionally to other dairy foods, and it is much healthier than refined carbohydrate. While nutrition’s dark ages demonized all sources of fat, we now understand that there are good fats and bad fats. On this note, systematic reviews and randomized controlled trials strongly suggest that dairy fat is nothing to worry about. A systematic review of 18 studies found that cheese is inversely associated with stroke risk in Asian populations (12). High-quality evidence shows a clear reduced risk of hypertension as dairy intake increases. Additionally, the weight of the evidence suggests that fermented high-fat dairy has a favorable effect on stroke risk, with neutral effects for type 2 diabetes (T2D) and cardiovascular disease (CVD) (13). A systematic review of 52 clinical studies investigated how dairy consumption affected markers of inflammation. The data across all 52 studies strongly indicated dairy – including fermented dairy like cheese – had anti-inflammatory activity in subjects, except for the minority who had a milk allergy (14). Key Point: Cheese appears to be either neutral or protective against stroke, CVD and T2D. Additionally, fermented dairy products reduce inflammatory markers for the majority of people. As an aged fermented cheese, Cheddar is full of probiotics; supposedly beneficial live bacteria that grow in certain foods. Studies show that these bacteria survive the lengthy cheese-making and aging process (15). Recently, we can hear a lot in the media about the microbiome and the positive effects of these beneficial gut bacteria. To be honest, research on the microbiome is in its infancy and much more research is needed. However, initial studies do suggest there could be some promising benefits. Among these, probiotics found in cheese may help to protect against harmful bacteria in the gut and improve overall colonic health (16). Key Point: Fermented dairy products like Cheddar contain probiotics which may have positive health benefits for our gut. However, higher quality research is necessary. It is probably fair to say that no food is ‘healthy’ for everyone and Cheddar cheese is no exception. The potential negatives primarily relate to lactose/dairy allergies and the energy density. Lactose is a type of milk sugar found in dairy products. Globally, lactose intolerance is a big issue and approximately 65-70% of the world’s population are lactose intolerant (17). These figures can be as low as 10% in Northern Europe but as high as 90% in certain parts of the world (18). Lactose deficiency develops in some adults since they stop producing the digestive enzyme ‘lactase’ after early childhood. Lactase is the enzyme which is necessary to properly digest lactose. Unfortunately, when people with lactose intolerance consume lactose they may develop a range of uncomfortable symptoms. These may include abdominal pain, bloating, diarrhea, flatulence, gas and nausea, among others (19). On the positive side, Cheddar cheese is very low in lactose. Therefore, it is unlikely to be a problem for the majority of people. Many people who can’t tolerate milk will often be able to tolerate hard cheese such as Cheddar (20). For example, fresh milk contains approximately 5% lactose, but Cheddar only contains a maximum 0.5% lactose (2). As mentioned earlier, longer aged Cheddar cheese will contain minimal traces of lactose, so ‘extra mature’ and ‘vintage’ varieties are good options. This is because bacteria progressively consume the lactose (sugar) content of cheese during fermentation. Key Point: Cheddar contains small amounts of lactose, but the minimal amount present is unlikely to cause problems for most people. Firstly, it important to remember that a food being high in calories doesn’t mean it is unhealthy. Secondly, there is nothing especially fattening about cheese, and nutrient-density is a much better judge of a food’s relative health merits. That said, if we over-consume high-calorie foods then it is easier to put on weight or stall weight loss. A portion or two of cheese per day? That is no problem, and it will provide an excellent source of protein and calcium. However, melting 200 grams of Cheddar cheese onto your steak? Or a plate of pasta covered in huge amounts of cheese? Those calories will quickly add up, especially if it is a regular thing. Key Point: Cheddar cheese is very high in calories, but this isn’t necessarily a bad thing. However, there is a big difference between consuming a food and over-consumption. First of all, genuine dairy allergies are very rare, with a prevalence rate of only 0.6% in Europe (21). A severe cheese/dairy allergy can cause a range of reactions, with the worst being anaphylaxis. Anaphylactic shock is a major and potentially life-threatening allergic reaction. Cheese/dairy often gets a bit of bad press due to allergy/sensitivity issues, especially on the Internet. Despite this, people are allergic to all sorts of different food, medicines and substances. Most importantly, just because some people are allergic to cheese/dairy does not mean it is bad for the rest of us. Key Point: A very small segment of the population may have allergic reactions to cheese. This is not something to worry about for the majority of people. In case you have ever wondered about how Cheddar is made, here is a quick look at the process. Cheddar can be made either pasteurized or non-pasteurized. However, in modern cheesemaking, it is rare to find unpasteurized Cheddar. In a typical production process, the cheesemakers will start by heating the milk to a temperature high enough to kill any bacteria. Following this, starter cultures (bacteria) are added to the milk alongside rennet, which helps the milk to curdle. The remaining liquid (whey) can then be removed from the cheese. Next, after the cheese has set, the cheesemakers cut the curds into small pieces to make salting easier. In addition to helping the flavor, salt also acts as a natural preservative and helps to ensure the fermentation process goes smoothly. Adequate salt ensures that no pathogenic bacterias develop. Once the Cheddar curds have been salted, they are pressed into large, solid slabs of cheese weighing upward of 20 kilograms. These moulds of cheese are then vacuum packed and stored in boxes to ferment/mature. As discussed earlier, this fermentation process will ordinarily last anywhere from three months to over eighteen months. However, rare artisan Cheddar cheese may be aged for anywhere up to five or even ten years. If all this talk of Cheddar makes you hungry, then here are five tasty cheese recipes to try out. Chicken breasts are a little boring aren’t they? But it’s easy to make them tastier, and cheese and bacon does just the job. Next, rub the butter/oil over the chicken breast. After this, chop the bacon into small pieces and stuff it into the cuts you made. Following this, sprinkle the cheese inside the cuts and on top of the chicken breast. Cook in the oven for 30-35 minutes, or until the chicken is fully cooked. Broccoli and cheese always work well together, and a creamy broccoli and Cheddar soup tastes great. First of all, add the olive oil to a pan and lightly fry the onion. Once the onion has softened, add the chicken stock, garlic, and mustard and bring to a boil. After cooking for about 20 minutes, add the milk, heavy cream, broccoli, salt and pepper. Reduce the heat and simmer. Stir the soup continuously while simmering until the broccoli has fully cooked (but before it comes soft and mushy). At this point, add the Cheddar cheese and stir well to ensure it doesn’t stick to the bottom/sides. Once the cheese has fully melted, the soup is ready to serve. Cheese and ham is a traditional combination and it works well in just about everything, including omelets. First, add the butter to a pan and wait for it to melt. Next, crack the three eggs into a bowl, add salt and pepper and mix well. Add the egg mixture to the pan once hot. Cook for a few minutes until a solid omelet forms. Add the ham and cheese to the middle of the omelet, and allow to melt. Finally, once done, flip the omelet in half and serve alongside some veggies. A baked avocado with egg and Cheddar cheese offers a simple meal that is full of protein, healthy fats, vitamins and minerals. First, cut the avocado into two halves and remove the stone. Secondly, crack an egg into a bowl and separate the egg yolk from the white. Next, put the egg yolk into one half of the avocado and put as much egg white as will fit. Sprinkle half of the Cheddar cheese on top, and season with salt and pepper. Repeat the above with the second avocado half/egg. Once ready, put both avocado boats in the oven at 175°C (350°F) for about 20 minutes. When done, the egg should be firm. OK, this one isn’t really a recipe as such, but if you like wine (or even if not) a cheese platter is a simple and delicious meal. Use Cheddar, any other cheese, possibly some cured meat such as prosciutto or salami, and a bit of fruit. This meal is easy to make, quick and convenient. It is also difficult to top in the taste department! Key Point: There are many Cheddar cheese recipes out there, and this cheese helps so many different foods taste better. Cheddar is a traditional cheese with a very long history, it is reasonably nutritious and provides several health benefits. Additionally, it tastes great either by itself or as part of a recipe. If you’re looking for a great-tasting nutritious ingredient, then it is hard to beat Cheddar cheese. Is Mozzarella Cheese Good For You?